Although I never told him so, I wanted to grow up to be like my dad. He wore a shirt and tie, and was part of the management staff at the Ford Motor Company in St. Paul, Minnesota. It was mostly a blue-collar environment, and I worked on the line the summer I was 18, and he would walk over and take me to lunch. I still remember how much the "guys in the overalls" hated management, and how strange it felt to sit in the executive lunch room in my overalls with my dad. 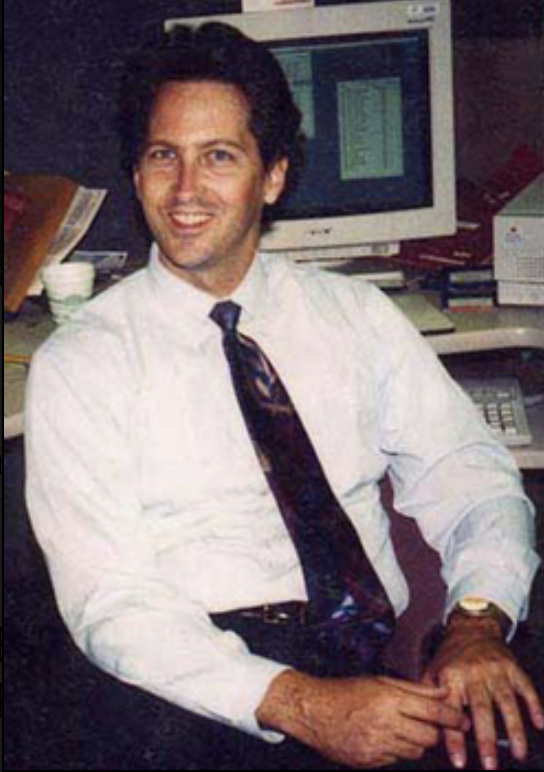 I wanted to be like him, and someday I would work for a big company and wear a shirt and tie. I did. My first corporate job was in Los Angeles, at the headquarters for Blue Cross of California. And then my next one was in downtown Phoenix, at the corporate headquarters for Bank One, which is now Chase Bank. I was just a graphic designer, never a manager, but I dressed in a shirt and tie, and wore them with pride. Of course, there are challenges to wearing a shirt and tie. Luckily, in California it never got too cold, it rarely rained, and it never snowed. I did have a raincoat that went over a suit, but in Phoenix I never had to use it. In Phoenix the trick was to get into an air conditioned car, and into an air conditioned building, quick enough so that you wouldn't start sweating. Phoenix is hot! I always wore an undershirt under my dress shirt, which is what a gentleman should do, and besides, if I did sweat a bit, it wouldn't show on my dress shirt. Things you have to think about in Phoenix! The process of wearing a shirt and tie to work brought out mentors for me. These weren't "fashion police", but they were older and wiser than me and would often put a word in my ear. Of course I started out making every mistake that a twenty-something does, but by my mid-thirties, I had it pretty much all figured out. And it is a secret language. Cheap suits, poorly worn, stand out like sore thumbs in a conference room, as if the person in them hadn't combed their hair that day, or worse. The well-dressed men, and women, were in command there, the same way that a baseball team would be intimated by the other team having sharp uniforms, if they themselves were dressed in rags. I just loved being a corporate guy, and wearing a shirt and tie. I was well paid, got plenty of perks, including finding my girlfriends on the job. I always wore a single Windsor, and if you know what that means, you understand. Of course, most of the people I've known in a long life just hate the thought of having to wear a shirt and tie, but for me it was wanted I wanted to do when I grew up, to be like my dad.